As we all know, estuaries are the nurseries of our oceans. Sometimes we think of rivers and oceans as separate, but they are connected and the destruction brought upon one affects the other. 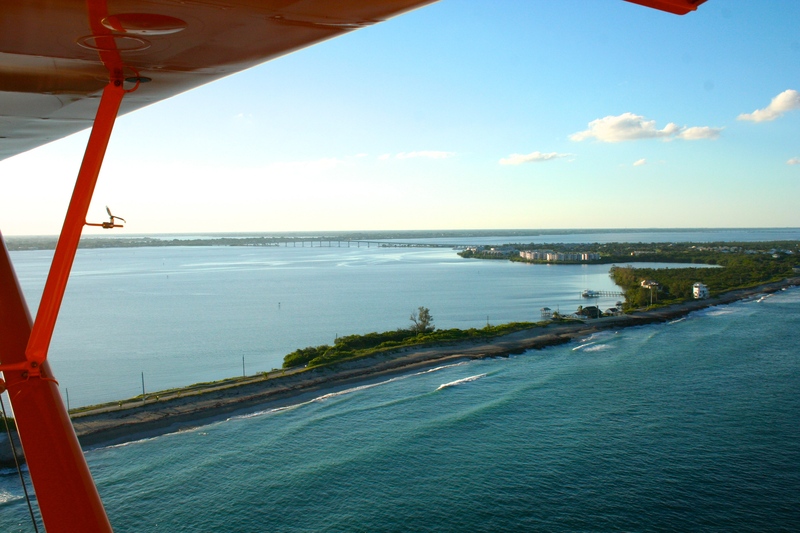 Looking above at this photograph of Hutchinson Island near the House of Refuge one can see how close the Indian River Lagoon estuary and the Atlantic Ocean really are. 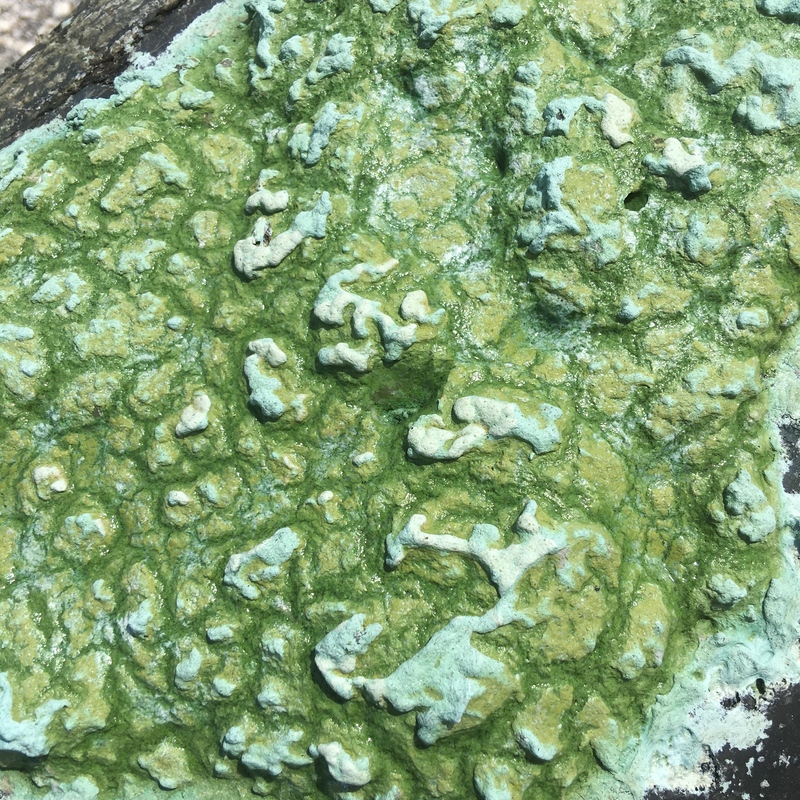 Not only that, when polluted water flows out of the St Lucie Inlet from the St Lucie River estuary, it covers and negatively affects our “protected” near shore reefs and the tremendous variety of life there. 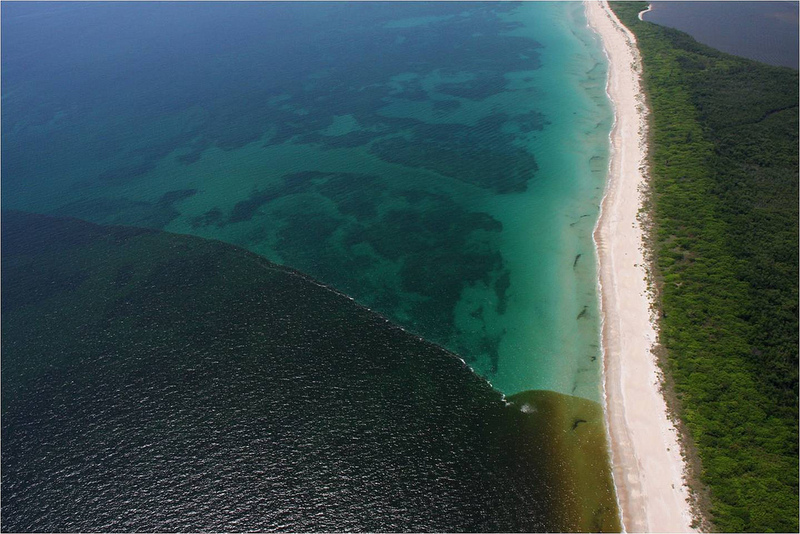 A photo from Martin County shows polluted runoff flowing over nearshore reefs along Jupiter island south of Hutchinson Island and the St Lucie Inlet, 2011. 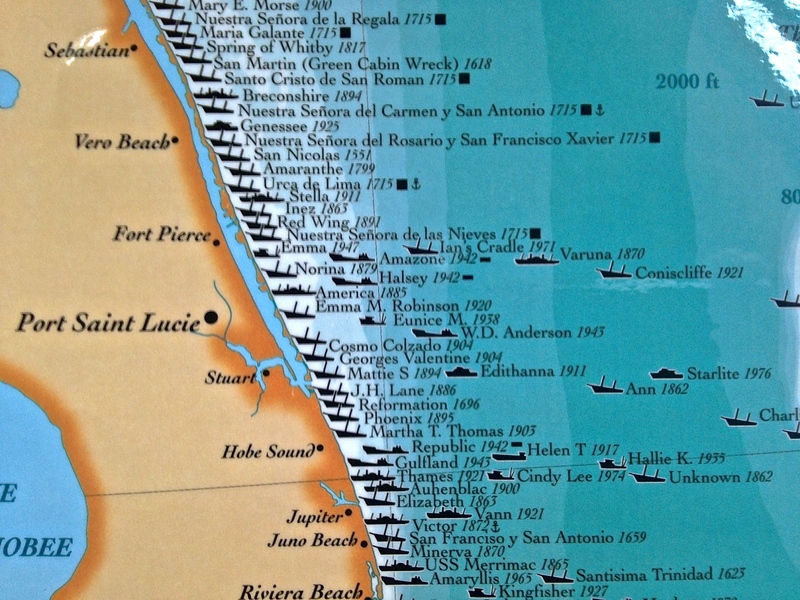 As we all know, the entire St Lucie/Indian River Lagoon is often a “dead zone,” due to toxic algae blooms caused by too much polluted fresh water runoff from canals carrying nitrogen, phosphorus and other pollutants from agricultural canals along the lagoon, and Lake Okeechobee . 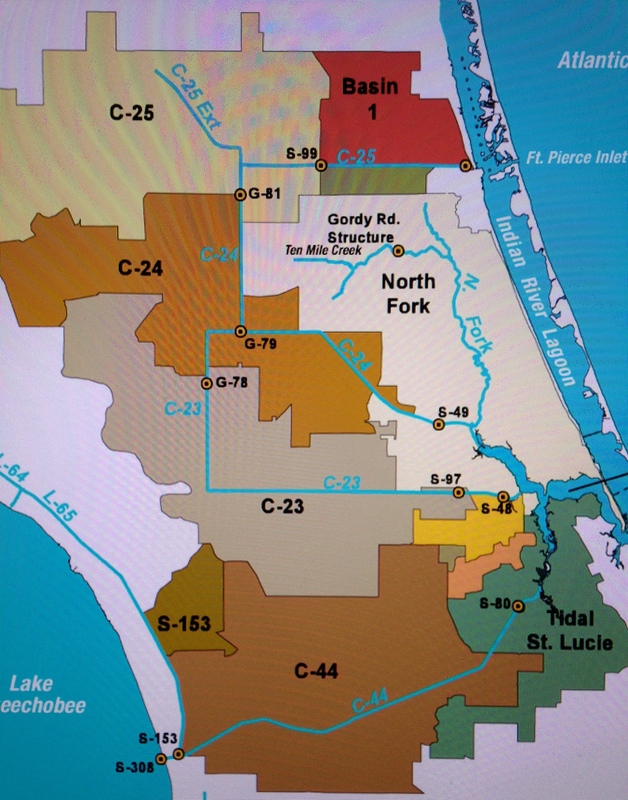 The four agricultural canals we have here in Martin and St Lucie Counties: C-44, C-23, C-24, and C-25 have no filtering system. When it rains, the water falling on thousands and thousands of acres of agricultural as well as urban lands picks up fertilizer, pesticides, herbicides, oil, cow, horse, and pet waste, leaky septic tank effluent, and what ever else is out there; this water then runs into the canals that in turn are released directly into our waterways. When Lake Okeechobee is dumped it too has no filtering process, so not only do we get our pollution but we get “Orlando’s” as well as the Everglades Agricultural Area south of Lake O. forces the lake water to flow east and west rather than south as nature intended…. Is it any wonder why we are a toxic mess? 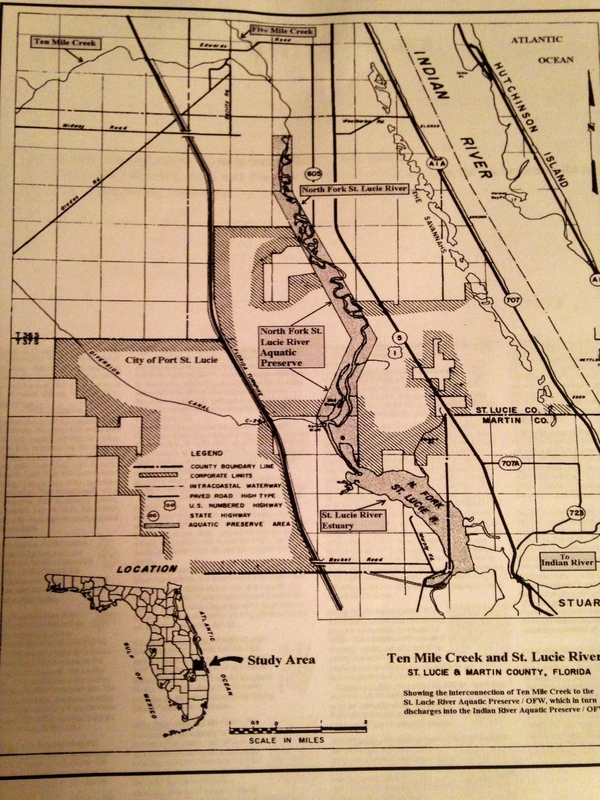 It must be noted that Martin County, the state, and federal government for years have been working on the IRL South Project that is part of CERP. 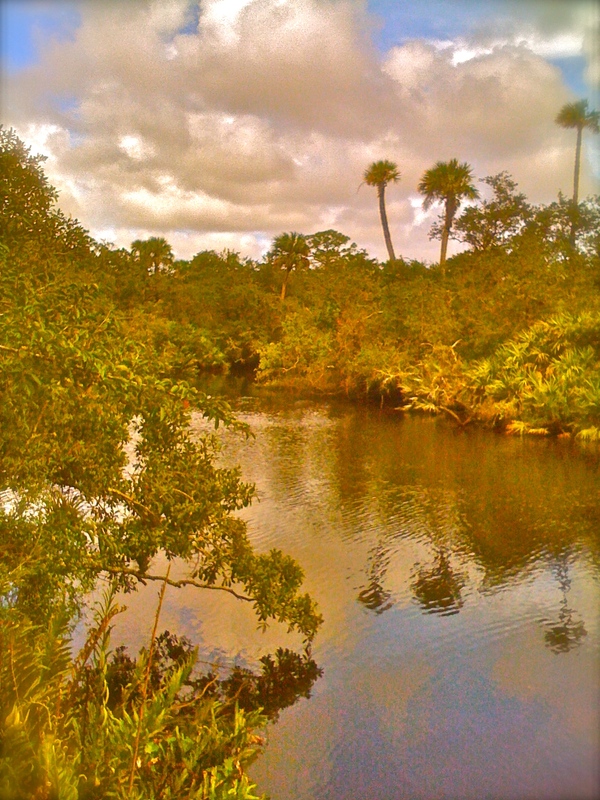 (http://www.evergladesplan.org/pm/projects/proj_07_irl_south.aspx) This project would help hold, filter, and clean polluted water for canals C-23, C-24, and C-25 before it enters the St Lucie River/Indian River Lagoon. These projects are so expensive and political they are a “slow moving slug,”but they are moving. The C-44 STA/Reservoir (https://my.sfwmd.gov/portal/page/portal/pg_grp_sfwmd_wrac/portlet_subtab_wrac_archive_reportsdocs/tab772049/wrac_090606_c44_ray.pdf) is yet another tremendous project that miraculously got a second push to get underway, due to the pressures of last year’s “Lost Summer,” through the help of local, state, and federal politicians and agencies, but that project needs continual push for congressional funding to accomplish its goals too. Clean water does not come easy. The public must push and push. 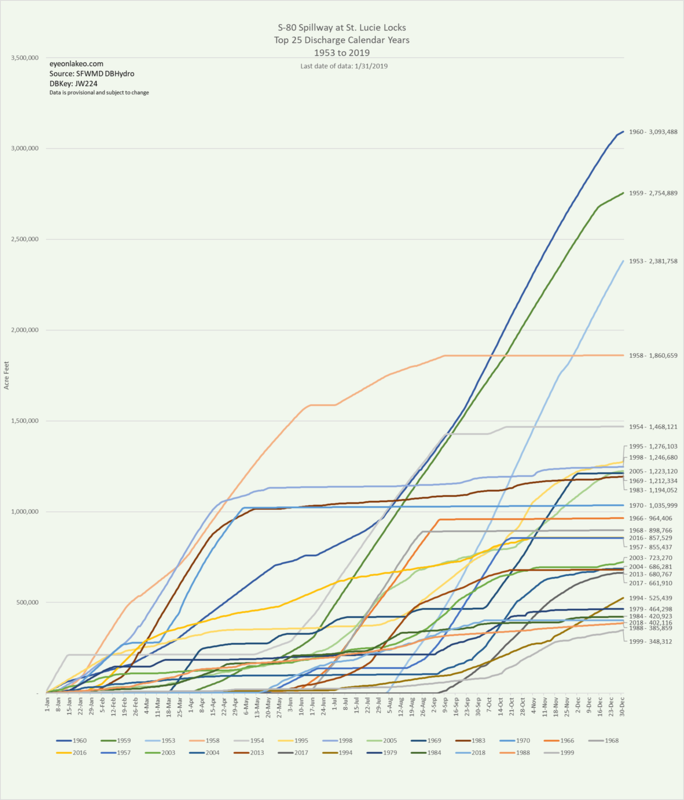 There is fierce competition. Yes, we the public must learn more about these projects and how to help get these projects funded, along with our fight for a flow way south of Lake Okeechobee. The government will only move forward with these projects if they know the public is expecting it and helping with it. With Amendment 1’s passage the possibility is even more of a reality, but it is no guarantee. We must advocate. The line between the estuary and the oceans is very thin, as is the line between the people and their government. Get involved! The river and the ocean both need you!